The ALLU Transformer D-Series is a range of attachments purpose designed for a variety of precision screening and material processing applications, transforming business operations wherever used. 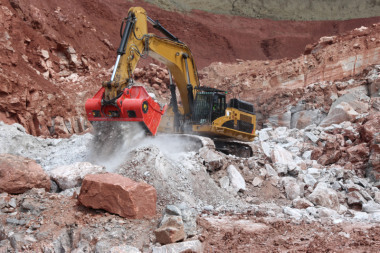 Highlighting the unique attributes of a highly productive range, Swedish contractor Johan Kits, has since 2014 successfully used the range for a variety of projects, transforming material arising from recycling, blasting and excavating. The ALLU Transformer D and DL-Series comprises of an excavator/loader/tractor mounted attachment which screens, crushes, aerates, blends, mixes, separates, feeds and loads materials. This results in the feed material being effectively transformed into highly valuable products, making businesses more efficient, and more profitable. The Transformer D and DL-Series have proved their value in a variety of applications; these include landscaping, pipeline padding, recycling and agricultural applications, crushing and screening, transforming soil, waste and debris processing. 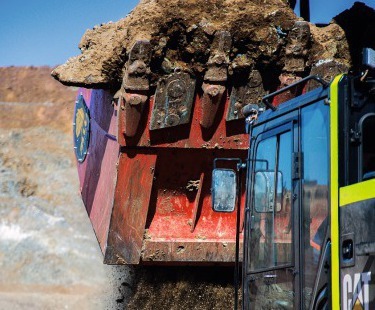 The unique attributes of the series means that all work can be carried out on site, with this truly mobile solution providing the versatility and flexibility to enable more efficient work even in the most challenging of environments. One such business that has enjoyed the benefits of the ALLU Transformer range is Swedish company Kits Contractor AB. Johan Kits bought his first ALLU Transformer in 2014, with the attributes of the equipment meaning that Johan and his team were able to take on more projects. Johan soon found that the Transformer was too small for his needs, so in 2015 he changed it to an ALLU DN 3-12, which he still owns and operates. Johan did not stop there; in 2017 he bought a DS 4-17, and in 2018 added a DH 4-17 for pre-and-rough crushing and screening. Johan Kits’ Transformers are highly flexible and are able to operate mounted on most excavators/loaders. Johan’s latest acquisitions are mounted on a Liebherr 140 (ALLU DN3-12) and a Volvo L90 (ALLU DS4-17). The DN 3-12 is currently configured to produce 0 – 30 mm materials, whereas the DS 4-17 is configured to 0 – 16 mm. These configurations provides Johan with the flexibility and productivity he needs for his varied and very busy business. Kits Contractor AB was established in 2011 and now employs 12 permanent staff; the company also takes on temporary contracting staff as the need arises. Johan’s main business is recycling construction waste, as well as blasting. The ALLU Transformers have proved their worth many times over working on different job sites, where the transportability and flexibility of the ALLU equipment has come into its own. The Transformer D and DL-Series have been designed to be mounted on excavators, tractors and backhoe loaders. This means they are ideally suited to the requirements of companies requiring limited, yet profitable, material separation, crushing, screening and processing as Johan Kits has found to his benefit.